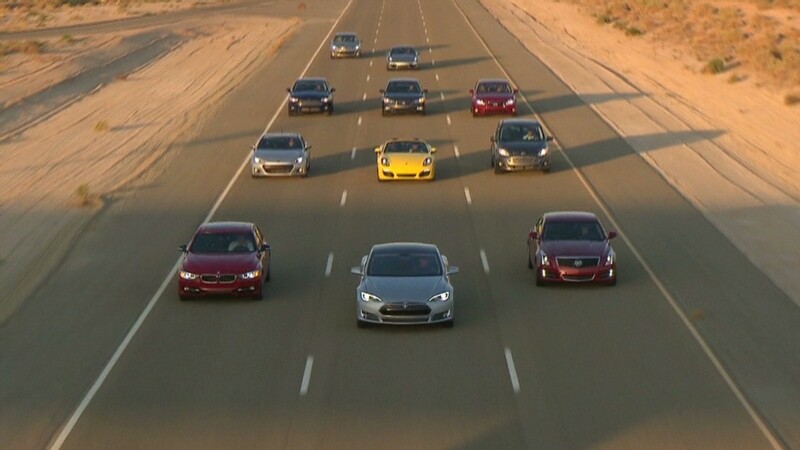 Motor Trend magazine has named the Tesla Model S its Car of the Year. The magazine's staff selected the all-electric plug-in luxury car out of a field of 11 finalists that included models such as the Ford Fusion, Porsche 911 and Hyundai Azera. It is the first time the magazine's Car of the Year award has ever gone to an all-electric car. Just being electric wasn't enough to earn the Model S the prize, though. Ed Loh, Motor Trend's editor-in-chief on Monday said that, with eleven finalists, it was a strong field this year. But in the end there was no question about who the winner was. "The vehicles that placed second and third didn't get more than three votes. 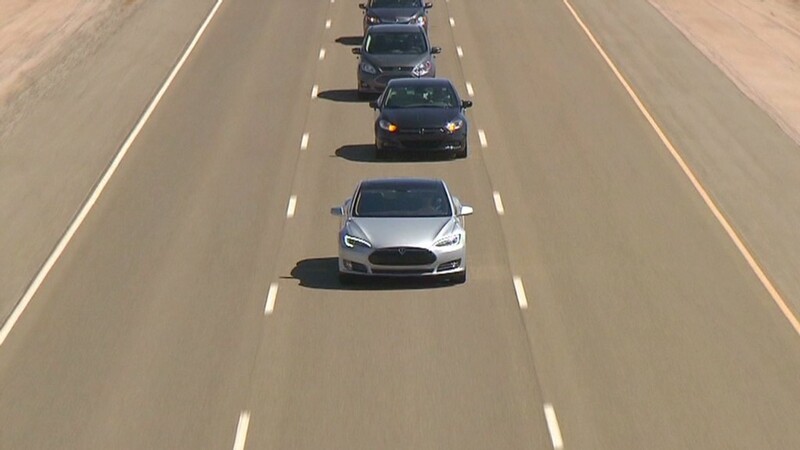 But it was a unanimous decision for the Tesla Model S."
"At its core, the Tesla Model S is simply a damned good car you happen to plug in to refuel," editor-at-large Angus MacKenzie wrote in an article about the award. Motor Trend calls the Model S "as smoothly effortless as a Rolls-Royce" to drive fast while having the cargo and passenger capacity of an SUV. The Model S was one of the most efficient cars the magazine has ever tested, averaging 74.5 miles per gallon equivalent -- a measure of how far the car goes on an amount of electricity equivalent to the energy in a gallon of gasoline -- during ordinary street driving. Still, the big car can bolt from a standstill to 60 miles an hour in just four seconds, according to Motor Trend's tests. "I hope that other automakers will copy us and follow through and do electric cars with more vigor." To be eligible for Motor Trend's Car of the Year award a vehicle must be, first of all, a car rather than an SUV or truck. The magazine gives separate truck and SUV awards. It also must be either completely new or substantially redesigned for the new model year. In all there were 25 models competing for the award this year. After testing all the models at the Hyundai/Kia proving grounds in the southwest California desert, the magazine's staffers narrowed the list to just 11 finalists. 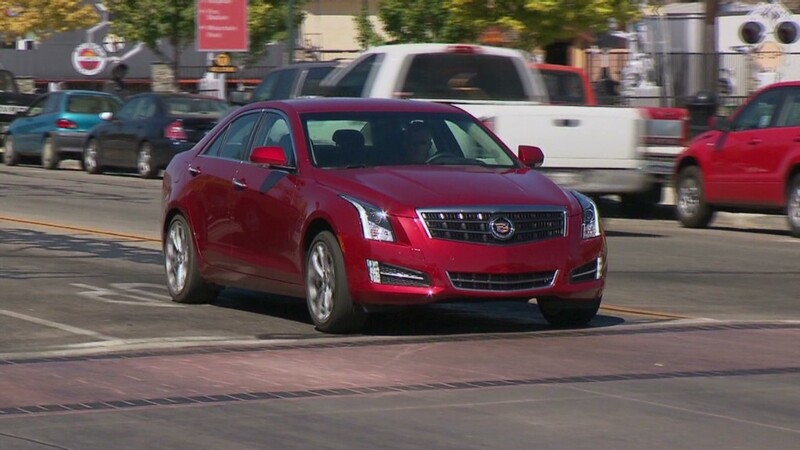 Those cars were then tested on roads and highways around the town of Tehachapi, Calif. After further debate, the writers and editors selected the winner through a secret ballot. It's impossible to say if the Model S would have won had it been a standard gasoline-powered luxury car, said McKenzie. That's because it would have been a different car in nearly every respect. Its strong, quiet performance is attributable to its electric motors while its roomy interior is thanks to the design flexibility they provide. The Model S can hold up to seven people when equipped with an optional pair of rear-facing child seats. Since there is no engine, both the back and front of the car can be used for cargo, giving it functionality very similar to an SUV. The Model S ranges from $50,000 for a car that can go 160 miles on a charge to almost $100,000 for a richly equipped model that can go 300 miles. It went into production this summer, and by the beginning of October Tesla said it had sold about 250 Model S sedans. It expects to sell about 3,200 by end of this year. One thing Motor Trend can't promise is that Tesla Model S will be a dependable car over the long haul. Only more exerience with the car will show that. Also, Tesla Motors (TSLA) is a start-up in an industry that's notoriously hard on newcomers. But that's not what Motor Trend is looking at, said McKenzie. "It's not auto business plan of the year," he said.